“Open Country” purchased from Indians by Jan Bronk, 1675. Formerly Madison, now Leeds. Location. 42° 15.397′ N, 73° 54.418′ W. Marker is in Leeds, New York, in Greene County. Marker is at the intersection of Main Street (County Route 23B) and County Route 47, on the right when traveling west on Main Street. Touch for map. Go through Leeds if coming from Thruway. 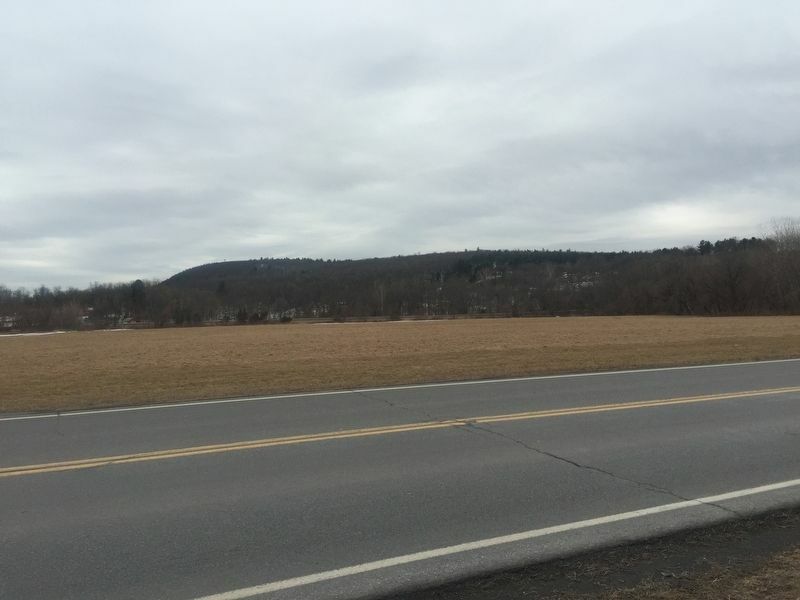 Marker is in this post office area: Leeds NY 12451, United States of America. Touch for directions. Other nearby markers. At least 8 other markers are within 4 miles of this marker, measured as the crow flies. First Log House (approx. 0.2 miles away); World War II Memorial (approx. 0.3 miles away); Old Inn (approx. 0.4 miles away); Footpath (approx. 1.8 miles away); Capt. Joseph Allen (approx. 2.1 miles away); The Catskills (approx. 2.3 miles away); General George Decker (approx. 3.2 miles away); Stone House (approx. 3.3 miles away). Touch for a list and map of all markers in Leeds. More about this marker. Unusually ornate marker. More. 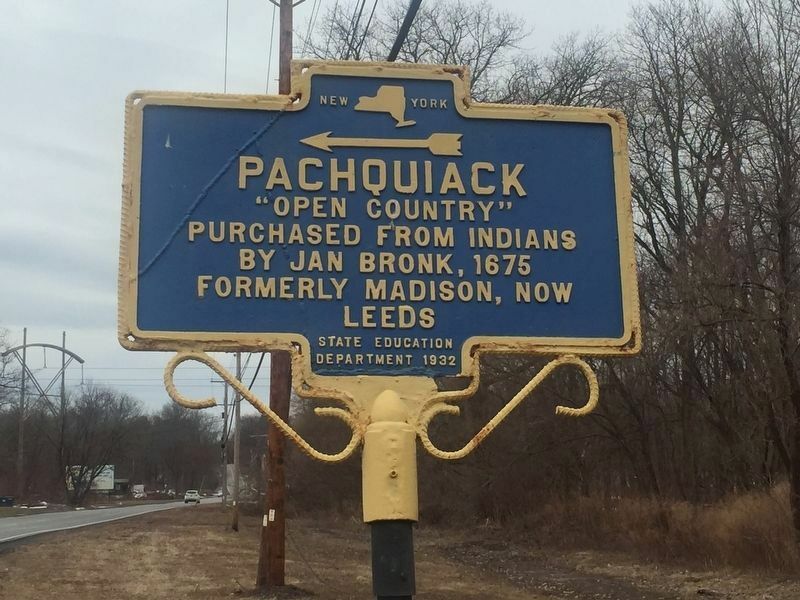 Search the internet for Pachquiack. Credits. This page was last revised on March 5, 2019. This page originally submitted on March 3, 2019, by Steve Stoessel of Niskayuna, New York. This page has been viewed 95 times since then. Photos: 1, 2. submitted on March 3, 2019, by Steve Stoessel of Niskayuna, New York. • Bill Pfingsten was the editor who published this page.